As any amputee will tell you, adjusting to your new way of life takes time, patience, and dedication. This is especially true if you have undergone amputation of your lower leg. The team here at Cornell Orthotics & Prosthetics in Beverly is here to help ease your transition every step of the way by providing high-quality below-the-knee prosthetics that can help you regain your independence and mobility. We treat below-knee amputees every day to help resolve common concerns associated with their new lifestyle, and we would love to speak with you. 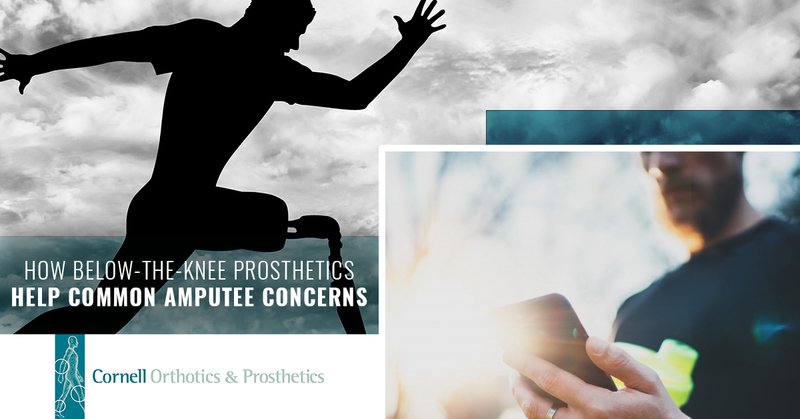 Contact us today to learn more about how our below-the-knee prosthetics can help with the following conditions. This is one of the most common problems that affects amputees, and some believe that skin irritation is an unavoidable issue when someone has a prosthetic. However, soft tissue stabilization ,as well as proper socket shaping and fitting go a long way in creating a comfortable below-the-knee prosthetic that doesn’t rub or chafe. When working with you to design the right prosthetic for your needs, our team will determine which materials will match your skin’s needs in order to reduce friction and pressure to prevent skin irritation. Following an amputation, it is natural for individuals to compensate for their lost limb to some degree. This compensation can cause an uneven gait, as can prosthetics that don’t fit properly. Over time, these conditions often result in long-term structural changes that can cause muscular back pain. Our team will work with you to analyze your gait to determine your specific mobility needs so that they can design a prosthetic that fits securely and comfortably, reducing your likelihood of experiencing back pain due to your amputation. In addition to back pain, unintentional compensation for the missing limb can result in overuse syndrome. Simply put, this disorder causes pain in the intact limbs because of them being overused repeatedly and subjected to too much stress. Below-knee amputees are at risk of premature degeneration of their lower back and hips, as well as the knee and ankle on the intact limb. Below-the-knee prosthetics that fit properly, offer even weight distribution, and help balance out a patient’s gait are critical to avoiding unnecessary lower body pain and discomfort. While you are first adjusting to your new way of life, it is natural to be fearful of falling. However, if you experience poor balance or instability with your current prosthetic, this could be a warning sign that it is not serving you as it should be. Over time, subtle changes may occur in the residual limb that reduces the amount of control you feel with the prosthetic. Additionally, the prosthetic’s components can shift out of alignment. Our team specializes in a full spectrum of services related to below-the-knee prosthetics. Not only can we design and fit them, but we can also perform adjustments when needed to enhance your stability control and balance. All too often, we see patients who are dealing with socket discomfort because of an ill-fitting prosthetic. The right prosthetic should be easy to put on and take off and you should be able to wear it all day without experiencing any type of discomfort or skin irritation. Additionally, you should feel as though you have complete control of the prosthetic. Socket discomfort is typically the result of one of these required features being compromised. Our specialists take the time needed to ensure your socket fits properly to reduce the likelihood of any discomfort, and we will continue to work with you until a secure, comfortable fit is achieved. Adjusting to your new way of life as a below-knee amputee can feel overwhelming, but rest assured that you are not on this journey alone. The specialists at Cornell Orthotics & Prosthetics are here to help you in your transition, blending science, art, and compassion to create custom below-the-knee prosthetics that allow you to regain your mastery of balance and movement. 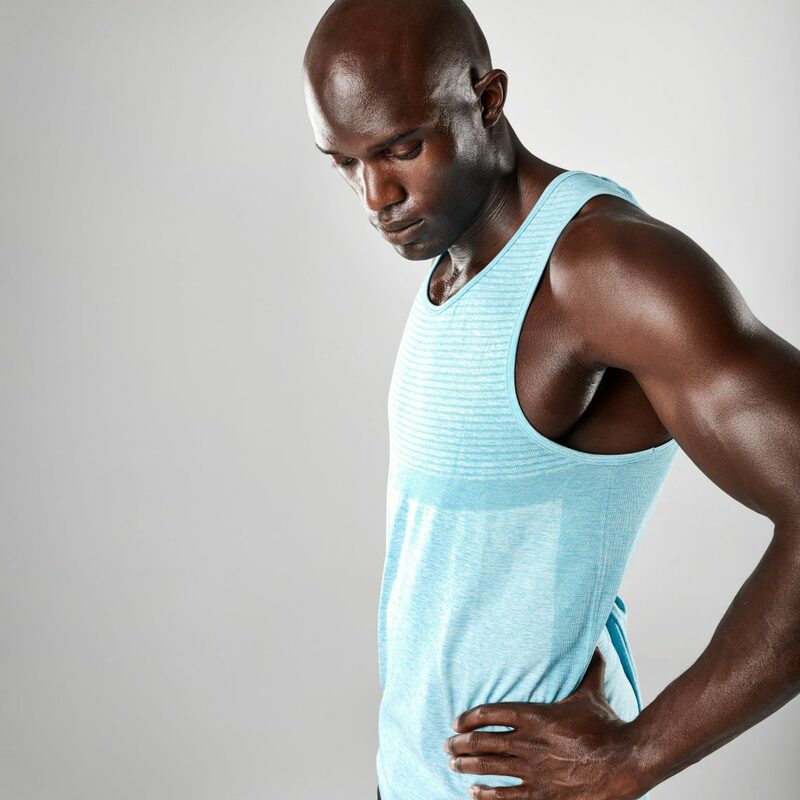 Additionally, we offer physical therapy as part of our prosthetic services to further ease your transition. Regardless of your lifestyle or your mobility needs, you can count on our team to create a prosthesis that fits your body precisely to help lessen the likelihood of the conditions we reviewed today. Call our office at 978-922-2866 today to learn more about our prosthetic services.